Well located, walking distance to the little village. Comfortable bungalows, not always with air conditioning. Excellent snorkeling by the rocks by the beach. Kaveka is a small family-style hotel: friendly & nice, it is located in the heart of the famous Cook’s Bay, it offers a splendid view on the surrounding mountains, quiet and relaxing environment, yet close to shops and activities (free daily shuttle to the Maharepa Center from 9:30 to 10:30!). Its bungalows are spacious, well maintained, air-conditioned, equipped with king size bed, TV, refrigerator and safe. The hotel also has a restaurant over the water, offering among others, local dishes, and a large pontoon leading to a nice snorkeling spot. Family owned and operated, The Hotel Kaveka offers incredible value for discerning travelers from around the world. 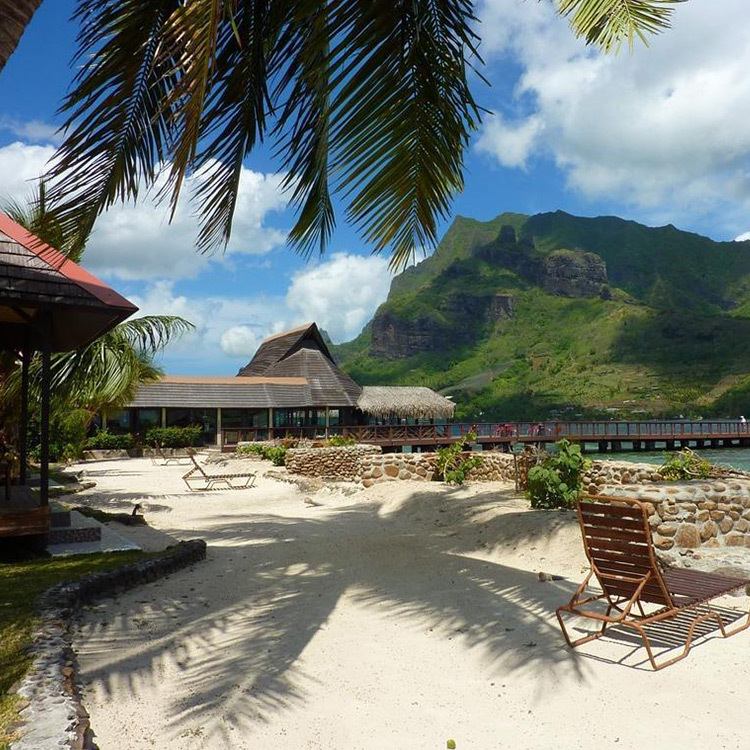 Nobody knows Moorea better than the team of professionals at The Hotel Kaveka. Book your tours with hand picked tour certified guides and discover the hidden secrets of our island paradise. Portable televisions with local reception are in all bungalows along with a mini refrigerator and air conditioning.